When exporting Orders or Draft Orders from Shopify – the Line Items had somewhat limited data about the Products and their Variants. Now you can add the additional product and variant data for the exported line items. 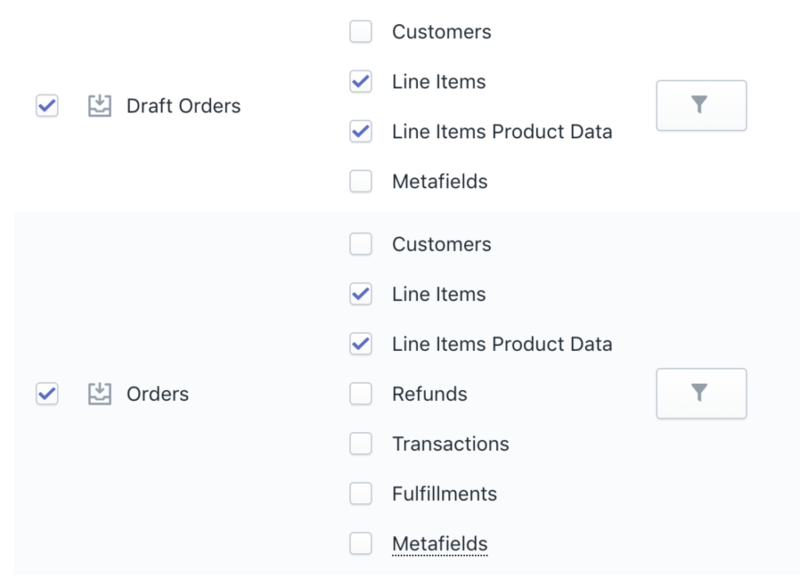 When you click the checkbox “Line Items Product Data” for the Orders or Draft Orders export, then the export file will contain additional columns. Of course, those columns are only exported and will be ignored when imported. See all the available exported Orders columns. See all the available exported Draft Orders columns.